Hello, I would like to turn my 29g High into a planted tank. I will be starting this in a few months over the summer. In the tank right now, slightly overstocked, are 3 Guppies, 2 Mollies, 1 DG, 2 Nerites, and 10 Cories. Eventually, I would like only a school of Neon Tetras and 8-10 Kuhli Loaches, and to move the rest into a bigger tank with my other fish. 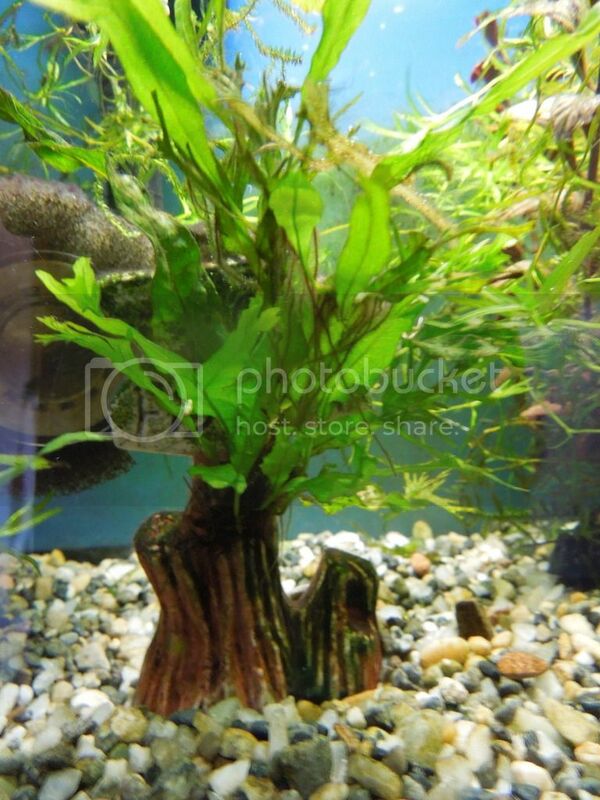 I have had Hornwort and Water Wisteria in the past. The Hornwort dropped all of its needles within a week but continuously kept my Nitrates and Ammo down and the Wisteria eventually rotted. I was using Seachem Flourish Excel as I thought it was a fertilizer with CO2, not just a CO2 source. I will be purchasing Seachem Flourish. I have a single bulb t8 fixture on it and was looking at the Zoo Med Ultra Sun bulb to go in it. I had looked into Finnex LEDs but just cannot afford those right now. My substrate in that tank is Black Diamond Blasting Sand. The PH is roughly 8.2 and we have hard water. The temperature is 78.0-80.0F. My fish don't seem to mind it much, though. The tank is on a timer, on from 10am-8:30pm. 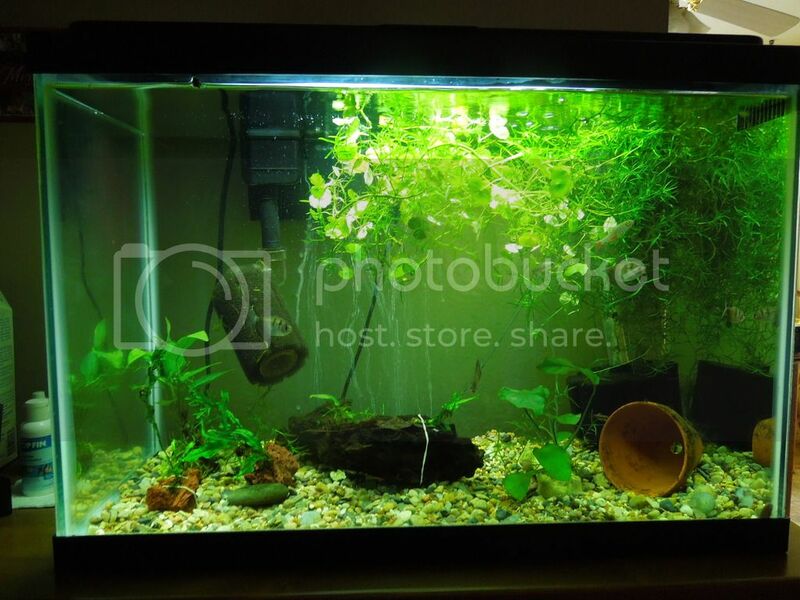 Would that time still work with plants, or will it be too much and grow algea? What plants would I be safe to try? They would be low light plants, in hard water with high PH. They would be dosed with the Flourish accordingly and weekly with the CO2, just to get rid of the gallon I have. At the start and occasionally with root tabs, as well. Some research has led me to Anubias, Swords, and Java Fern, but I'm lost on the scientific names. I would really love to try Wisteria again but I'm slightly afraid. I would be willing to try Hornwort again as well, but I cannot stand all of those needles dropping because they were hard to clean up. Could I quarantine it in a 10g for a few weeks until it melted then see how it does in the 29g or just go with a different plant? Can anyone chime in or give me some advice? Also wondering what a good dip would be to get rid of any hitchikers, or other ideas. My LPS has a few plants in every now and then but I was going to try Amazon or another store online. Any come to mind? List them! Should I get them all at once or a few a week or 2 at a time? Thanks! I lost 2 replies due to lack of time, upsetting, but nobody died and 7 billion people could care less. Of the bat I'd say you tank is very slightly overstocked. Anyway, I sought to rid my display tanks of plastic plants over a year ago and have learned much. They are a 15 long and a 20 high, both with stock weak t8 15 watt bulbs, so very low light. The 15 long has some sunlight at certain parts of the year and that helps. I have med gravel so rooted plants are essentially out. Here is the 20 high now, very much a work in progress but the plants are growing well and even my anubias is beginning to finally grow well. http://i1049.photobucket.com/albums/s392/lv2crp/009_zpsz8hdrpgq.jpg I have Anubias nana secured to decor, A. nana secured to driftwood, A. sp. (unknown) tied to a cinder rock with tying thread. 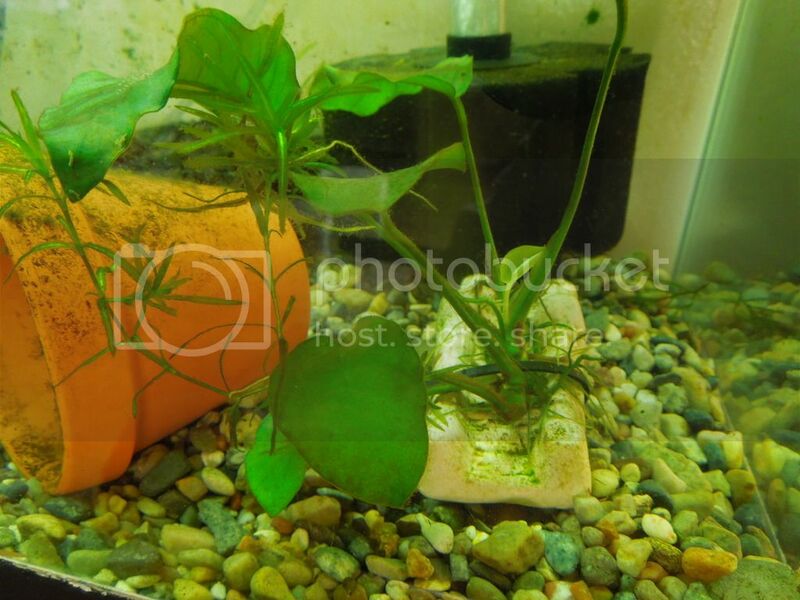 There is java fern, doing well, rubber banded to cinder rock, one is the windelov variety, and a loose leaf with alive fernlets are also rubber banded to the drift wood. The floating plants are pennywort, that with the round leaves, and guppy grass, Najas guadulepensis, that is in all my tanks and is becoming in need of finding a new home, as in all my tanks. My baby platys love this stuff. This is my 15 long. If you saw it when I started my project it was quite bare. Here I have, at left, 2 java ferns, one rubber banded to cinder block and one tied to decor with sewing thread. One as well as two anubias were petsmart tube plants and they have always done well for me. At top is again pennywort and the ubiquitous guppy grass. I should say that my water wisteria died as well, it likes more light. The plant in the aluminum cage is Monosolenium tenerum, a liverwort type plant that I contained in that cage as it is quite unruly. There is a banana plant that seems alive so I let it stay. 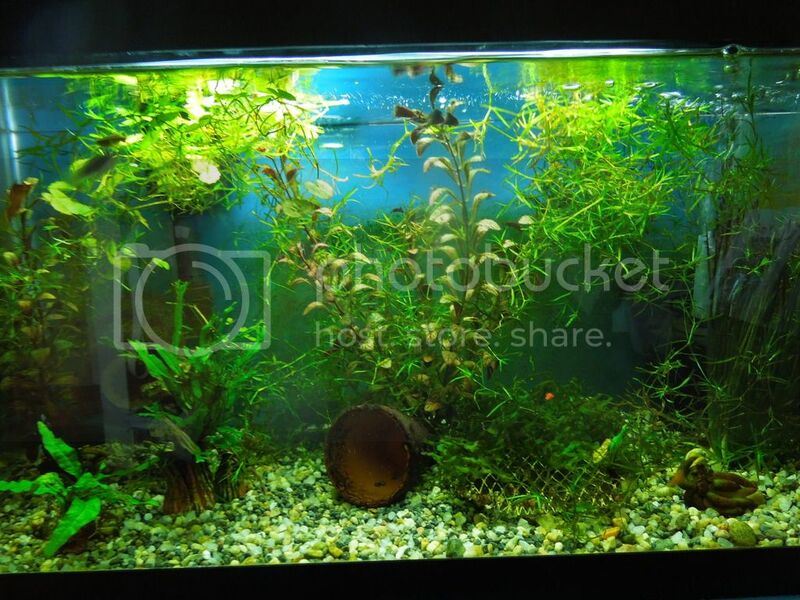 The plastic plants help hold the guppy grass and some java moss in them, and I like their aged look. These are some I KNOW you would have success with, and I envy your substrate as it will grow rooted stem plants like the Vals well. This is a java fern tied to decor. I hope this could help some. I do not use Excel, I find it overrated. (most disagree with me) I DO use Flourish however. Just an FYI re Excel, not all plants like it and some will die from it. The most notable varities that do badly with Excel are many of the Vals and Egerias/Anachris (needle leaved plants) and some say Hornwort will suffer. Hornwort is also a cooler water plant. Keeping it too warm can trash it as well. Over the years I have kept a variety of planted tanks and have used Excel in them all (except the one with pressurized CO2). I never overdose it and I have learned not to keep certain plants in tanks where I use it. Excel is one of those additives that many people think is safe to overdose, especially to kill algae. This is a very bad idea, imo. Used properly, it can be a benefit to many planted tanks, abused and it can kill many things, including fish and inverts. I found that it damaged my Monosolenium, and I honestly believed it did my guppy grass no good, though other sites recommend it for that plant. It was all a learning process for me, I also burnt my plants with salt, as it was suggested as an additive for platy health, wrong. But I still do not trust this stuff, wish I send a bottle your way.